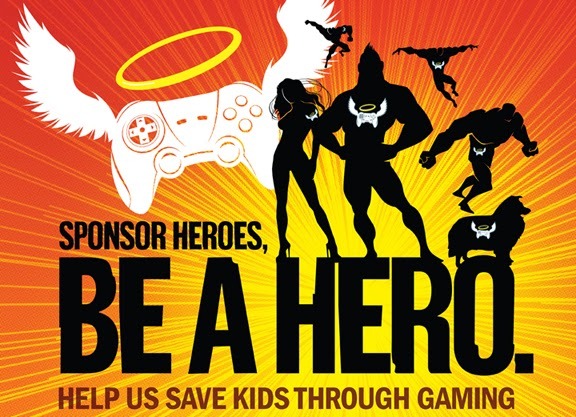 Our very own Deefuzz is participating in a marathon to help kids in need. Find out how you can aid him and his teammates after the jump. 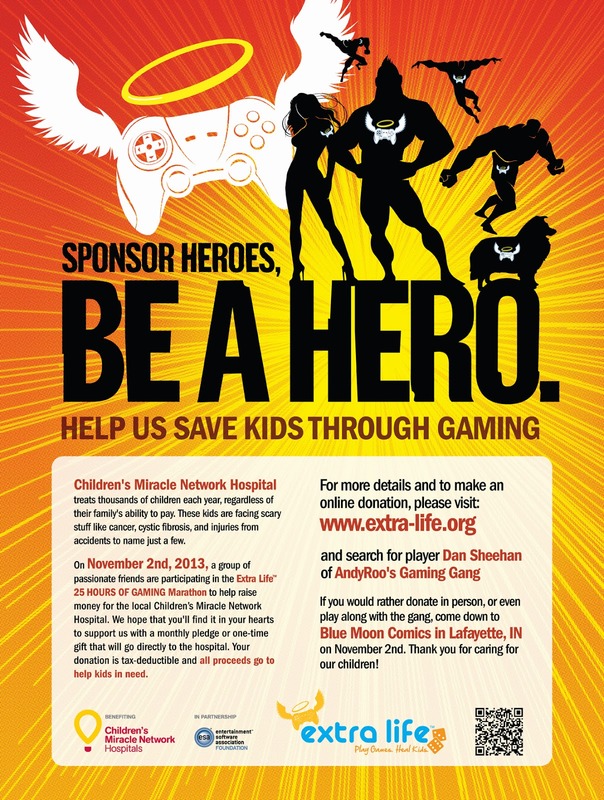 On November 2nd, 2013, a group of passionate friends of the podcast are participating in the Extra Life™ 25 HOURS OF GAMING Marathon to help raise money for their local Children’s Miracle Network Hospitals. Dan "Deefuzz" Sheehan's beautiful daughter, Teresa, is a special needs child, and the family would benefit from the aid given to their local St. Louis Children's Hospital. We hope that you'll find it in your hearts to support us with a monthly pledge or one-time gift that will go directly to the hospital. 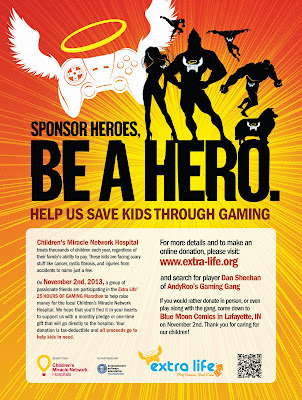 Your donation is tax-deductible and ALL proceeds go to help kids in need. Blue Moon Comics in Lafayette, IN on November 2nd. Thank you for caring for our children!